Born in Australias’ red centre way back in 1992, the Alice Springs based Centrebet became the first licensed bookmaker in the Southern Hemisphere to offer sports betting over the internet when they launched online in 1996, and they weren’t afraid to accept large bets from successful punters. In 2003 they bought-out their biggest domestic competitor Sportodds.com and in 2005 the two merged becoming Australias’ largest online betting provider at the time. The Centrebet brand was then purchased by Sportingbet in 2011 but both brands were ultimately sold to British wagering giant William Hill in 2013. 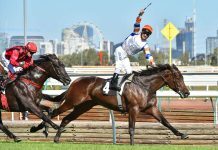 These days Centrebet provides punters with betting options on just about everything, with up to 8000 sport, racing and novelty markets being offered every week. 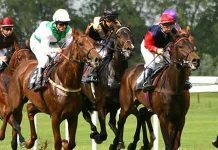 Their “pick your own” range of markets provide punters with the extra freedom of customised betting while their racing products remain some of the best in the industry, and their website and mobile applications are highly advanced with handy features like racing form guides, sports statistics and live broadcasting. At one time they were my absolute favourite bookmaker, however, since being taken over by the corporates they have become much more suited to the needs of recreational punters. Great Racing Products ~ Centrebet have an excellent range of racing products with CentreBEST, SPG (Starting Price Guaranteed) and choose our own tote on exotic bets leading the way. “Pick Your Own” Markets ~ These markets give punters a lot more freedom with their betting options, particularly when betting on the AFL and NRL. Live Broadcasting ~ Using a direct link on the website members can watch and listen to live races. Amazing Betting Apps ~ The new Centrebet mobile betting App has taken punting on the move to a another level. Quality Customer Service ~ You can reach Centrebet staff 24/7 via the phone and online chat. Betting Restrictions ~ Since being taken over by the corporates Centrebet has gone away from providing quality services to successful punters. Late Odds ~ Sometimes they are quite late to put up their odds on upcoming sports and racing events. Protest Payment T&C ~ The protest payment is great, but it only applies to win bets. Place bets, multi-bets and exotics are not included. New Customer bonus ~ New customers will have their first deposit matched by up to $200 (this excludes residents of NSW, VIC, SA & WA, but if you push they may look after you). 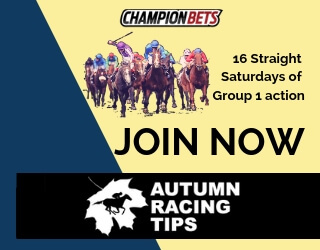 Group One Special ~ Get your money back up to $100 if you run 2nd in any Group One race. Multi-bet Bonus ~ Regular bonuses are available on multi-bets consisting of 4 or more legs (currently 25%). Refer a Friend ~ Refer a friend to Centrebet and get a $50 free bet. Protest Payment ~ If your horse is first past the post but gets beaten on protest you still get paid. Money Back Specials ~ New money back specials for both racing and sport are available every week. CentreBEST ~ This is a great racing product for Win bets, paying out either the fixed-odds at the time of your bet or the best tote, whichever is higher. This allows you to take the early odds but still benefit if your selection drifts out in the market. CentreTOP ~ Pays a Win dividend that is equal to the highest dividend declared by the three major Australian totes. CentreODDS ~ Pays the better of the fixed-odds given at the time of your bet or CentreMID on Win bets. Place bets pay the fixed odds. CentreMID ~ Pays a Win and Place dividend that is at least equal to two of the three totes. Best Fluc ~ Pays a Win dividend equal to the best on-course fluctuation throughout raceday. SPG ~ Short for “Guaranteed Starting Price” this product is great for betting on overseas racing, paying the higher of the fixed odds at the time of your bet or the starting price on Gallops in Great Britain, UAE, Germany, Ireland, France and South Africa. Owners Overs ~ Owners of racehorses get a 10% cash bonus on their winnings when they back a horse that they own. Choose Your Own Tote ~ You can choose to receive either the SuperTAB, NSWTAB, UNITAB or the middle tote (second highest) on exotic bets like Quinellas, Trifectas, Quaddies etc. Live Broadcast ~ The live broadcast option links directly to TheRacingNetwork where you can watch live thoroughbred races in Sydney and Melbourne via TVN, plus listen live to races elsewhere. 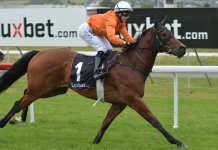 Racing Form Guides ~ Comprehensive colour coded form guides that includes silks. Rover/Banker Option ~ Not many online bookmakers offer the rover option anymore. I personally use it quite often and it can be very useful with your exotic betting. Pick Your Own Line/Total ~ Allows members to pick their own totals and lines on sporting matches with the odds increasing or decreasing depending on what stand you take. Pick Your Own Match ~ Allows you to pair up your choice of AFL or NRL teams to compete against each other in any round. 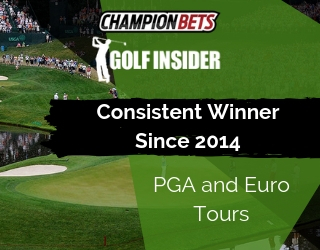 Pick Your Own Streak ~ Members can build a streak of consecutive results in odd vs evens or inside vs outside markets and receive enhanced odds. Jockey Challenge ~ Allows betting on which jockey will accumulate the most points over a race meeting or carnival. Novelty Betting ~ Allows betting on entertainment, TV shows, elections and more. After a number of major updates over the years the Centrebet website has evolved into one of the best online betting outlets in the world. 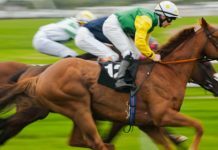 You can see an entire days racing or a full round of sport on the one page and it is absolutely packed with features including quick links, pick your own betting options, colour coded race form with silks, a 24 hour sports card, live broadcasting options, an intuitive betting slip and a entire section dedicated to live scores, results and statistics on a wide variety of sports. But still its best feature is speed, the site is very very fast and of course it is entirely safe. The black and white design may take some time to get used to but after a while it becomes quite easy on the eye and should you need some assistance their live chat facility is available 24/7. After updating to the new Centrebet betting application i took the customary tour and was instantly blown away with how sophisticated it was. Sure it has all the regular stuff but they gone to another level with this App, throwing in enhanced form guides, flexible notifications, auto refreshing, quick deposit options, a live radio feed, a search bar, sports cards, race cards, there’s even speed maps for greyhounds and a Centrebet store! 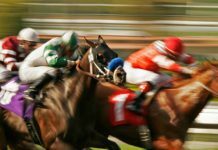 Of course the App has live betting, multi-betting, quick links, promotions and all the pick your own betting options and racing products that you find on the main site are still there. The live chat facility but as far as betting Apps go this is easily the most advanced I’ve ever seen. I love the “keep me logged in option” so when you leave and come back your ready to bet straight away, and with so many features and options it is almost like entire separate Centrebet website. I personally found it a bit too much as i prefer betting on the move to be a quick and simple experience, still, i definitely recommend checking it out as it truly is an amazing App and im sure many punters will absolutely love it.